As Black Sabbath stepped down from the throne last year, Judas Priest may just have taken the crown as the longest running metal band in history. I suppose it depends on how you look at it. 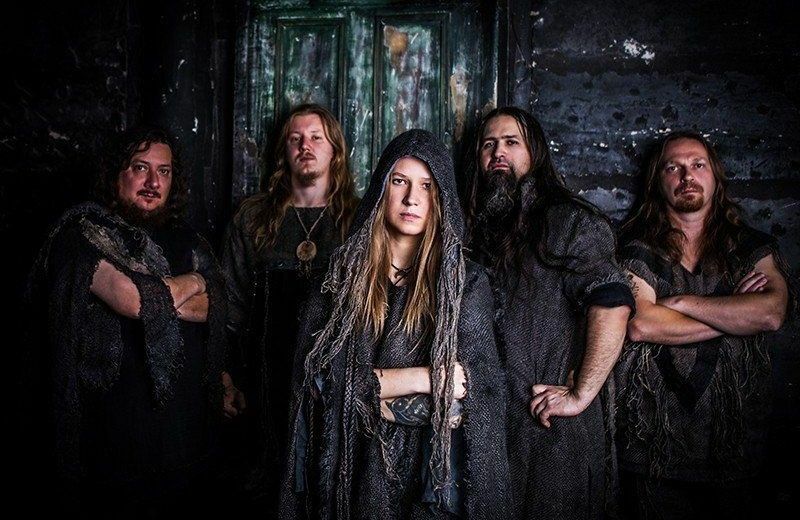 While they formed just a year after the creators, their first album didn’t come out until 5 years later, and, rife with harmonica solos, it isn’t quite the screaming metal we’ve grown accustomed to. From the explosive opening of the title track, this is the Priest we yearn for, and after waiting 4 years since their quite excellent ‘Redeemer Of Souls’, it is a delight. 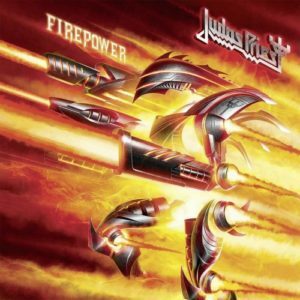 Halford’s powerful scream fades in as ‘Firepower’ begins to chug along and we are treated to a vocal performance that is somehow exactly as strong as it was in the 70’s. There’s not as much avoidance of the more high-pitched vocals as you’d expect, like bands such as Rush have to do these days, because there doesn’t need to be. Halford can still (mostly) get up there, though of course, the wailing screams aren’t coming as thick and fast as they did back in ‘British Steel’. The band don’t bother with experimentation, they don’t attempt to venture into particularly new ground and they don’t start to simplify their music as they age- everything is in its right place. ‘I’ll bring you the head of the demon, I’m peeling the skin from his face’. ‘Lightning Strike’ is a twisted combination of an anthemic Manowar sing along and some verging on death metal lyricism. The release of a music video for this track has elevated it above the rest of the track on the album, with its powerful chorus standing out to fans. ‘Evil Never Dies’ is lower, darker and slower and the threatening sincerity of Halford’s vocal in the verse contrasts the warped, almost growled approach of the chorus. Opening with a synth, ‘Never The Heroes’ begins to sound worryingly 80’s. The strange guitar effects heard during the mostly drum accompanied verses continue to suggest this, with this sing along becoming one of the albums weaker tracks. Annoyingly, the lull continues as we are subjected to the childish lyricism of ‘Necromancer’, which seems to be about eating corpses, while some sort of sci-fi soundtrack plays as the first chorus ends. At just a minute long, ‘Guardians’ is a very unexpectedly epic introduction to ‘Rising From Ruins’, which opens with a glorious solo from Glenn Tipton. This is one of tracks that showcases the excellent production of the album, which saw the return of Tom Allom, who has worked with Priest a number of times over their illustrious career. 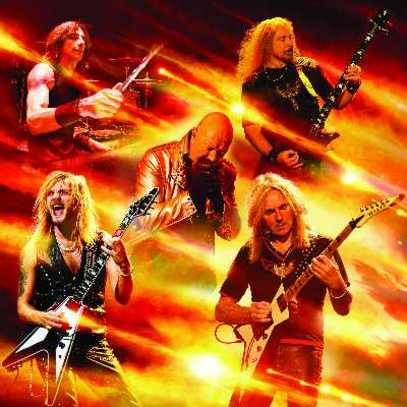 It is also co-produced by Andy Sneap, who has since taken over as Priest’s touring guitarist as Tipton’s Parkinson’s disease has tragically begun to impair his playing. It’ll be a shame not to see him shredding the explosive solos he’s used to. The album continues on in much the same vein, with explosive riffs and menacing vocals aplenty. Considering this band have been around for nearly half a century, it is incredibly impressive just how fresh, up to date and just all-round good this album is. Some of the highlights towards the end are Halford’s harmonised scream in ‘No Surrender’ that made me reminisce about ‘Painkiller’, and the entirety of the final track: ‘Sea Of Red’. It opens with a long acoustic guitar introduction, and an emotional vocal performance. It’s catchy and welcome, it’s not an annoying metal ballad. It builds perfectly over the course of its 6 minute duration and it’s almost goosebump-inducing when the entire band joins in overdriven harmony around halfway through. It is, in my opinion, the best track on the album (despite some annoying synth vocal aahs) and it’s definitely worth the 14 track wait. Priest continue to pump out excellent albums with no sign of stopping and very few signs of ageing. Even though Tipton’s tragic realisation that he had to step away from the stage is heart-breaking, there is nothing to say Priest won’t continue on in the studio for many, many years to come.